please bring this show back, it was ahead of its time. Look at silicon valley on HBO. I actually like this show better. I really want season two. 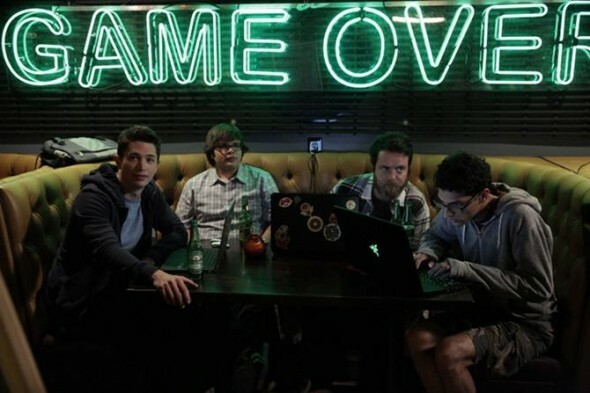 Just watched all of betas today, love Silicon Valley but this is def better show, come on amazon bring it back with the same cast as a different show, its 4 or 5 years later and there all millionaires now (billionaires even) with Trey and nash having there own VC or Accelerators competing against each other and the rest of the gang split between them, all stilll good friends but still causing **** for each other. Just want to see more of the gang. I loved Betas! Please bring it back it gets me through the tough developing my own application! It was an inspirational show and funny and fun! Betas was such a great show….finally a fun and entertaining show for my commute. I can’t believe they chose Alpha House over Betas. Alpha House is unwatchable. It’s a real shame Betas is not coming back….one of the few shows I was really looking forward to the next season!!!! I just watch the beta show in 2017, all I can say is that Beta is a amazing show. Wht the hell? I really enjoyed that, it even inspired me. Why do all the good shows get cancelled? Ditto just fished watching season 1. So sad no season 2! It’s sad, Betas is as good, if not better than Silicon Valley. I just watched season 1 and was sad to find out that the show was cancelled. I would have paid to watch Betas. It’s totally worth it. I have been checking regularly fr new episodes and am so upset to read that it has nit been renewed. Absolutely gutted there’s no series 2. Really enjoyed season 1… Come on Amazon bring it back!! !